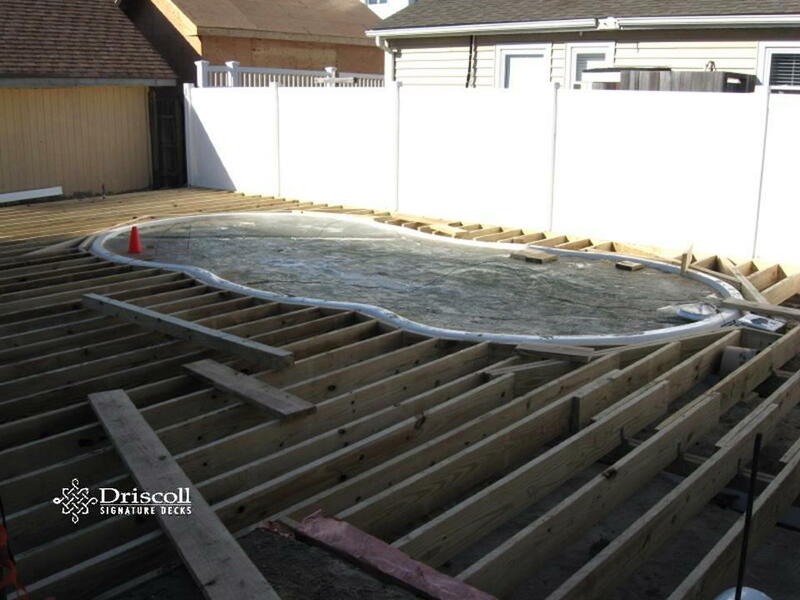 Info:This Driscoll Solution story starts at Stone Harbor Decks with an in-ground pool which was set in the sand, the plan called for using Brazilian Garapa (Spanish Ash) decking boards, so we trenched-out built the substructure framing below the pool level and ran the Garapa boards up over the lip of the pool, as you can also see we installed a new white vinyl fence around the pool yard - first, and you may also note that the water in the pool is - frozen, 'cause we built over the winter, also note the detail in the stairs into the house, in true Driscoll style. 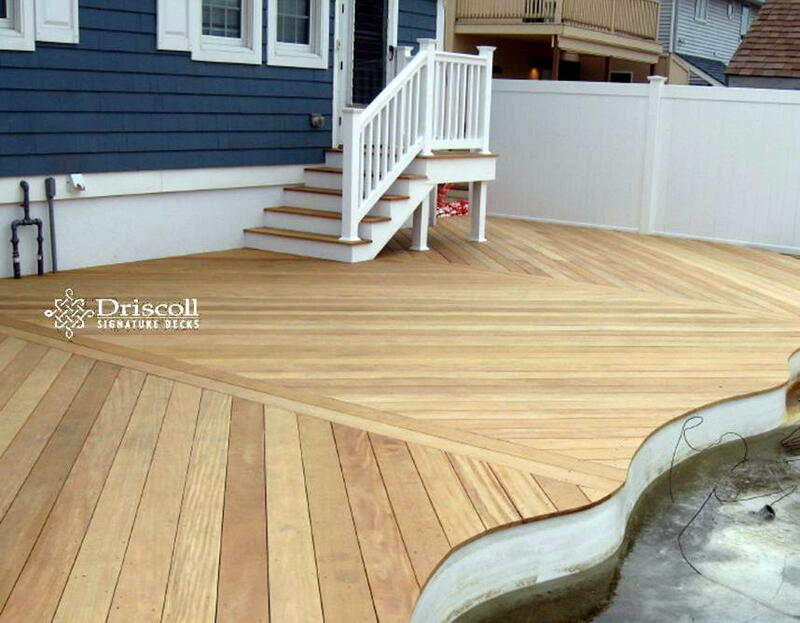 Stone Harbor Decks – Poolside! 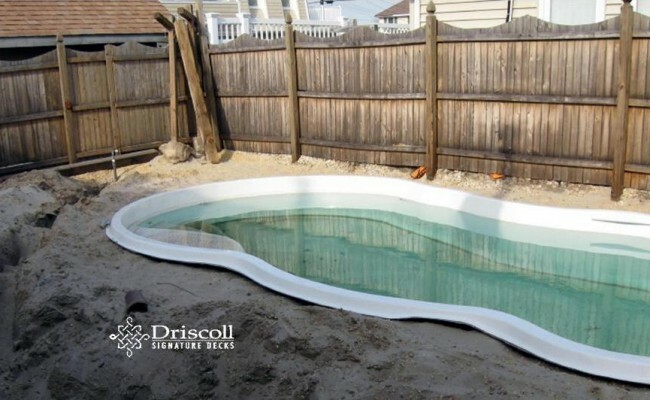 The inground pool was already dug-out and set in the sand. 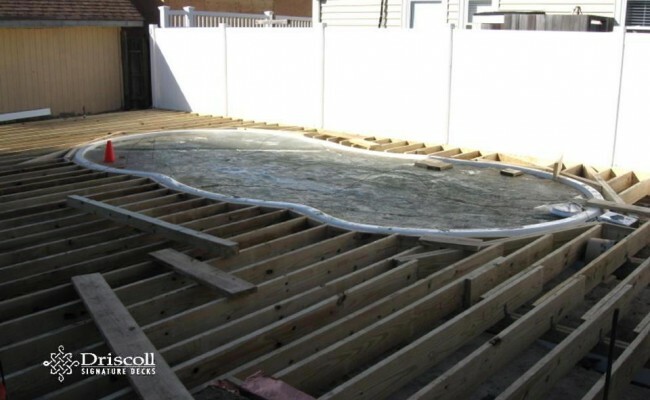 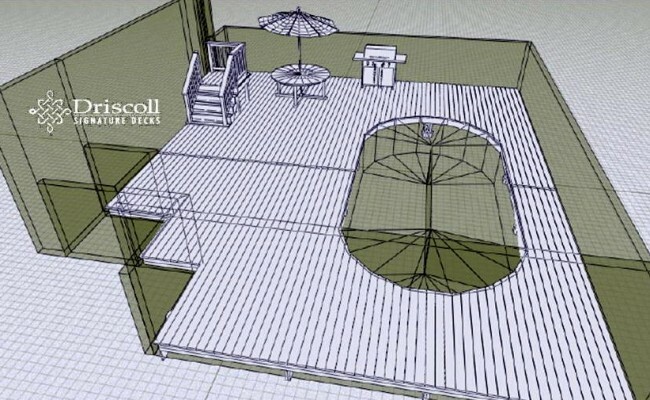 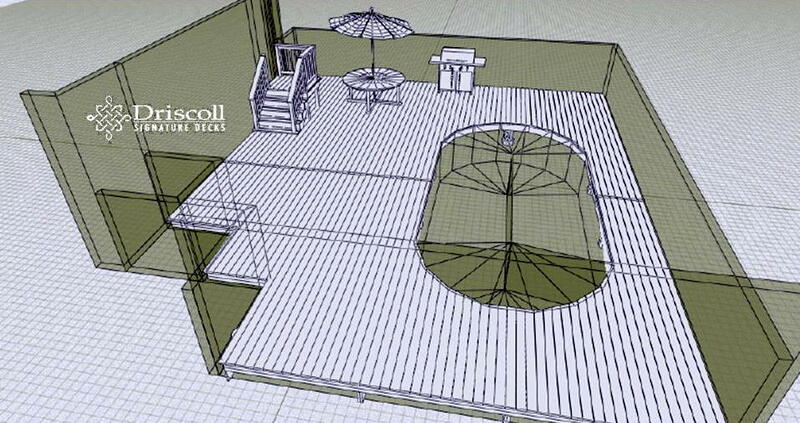 The plan was to build a Garapa (Spanish Ash) deck at a walk-in pool grade level. 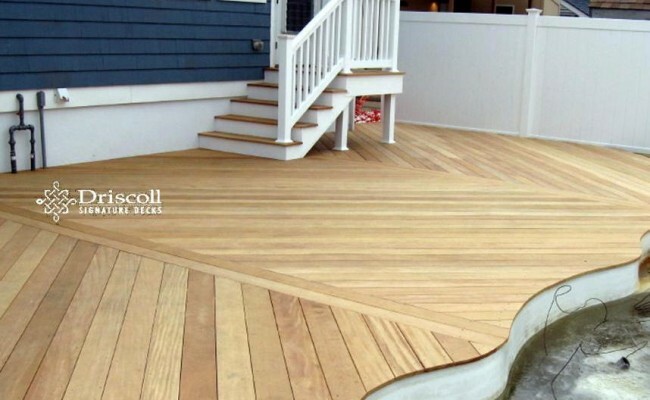 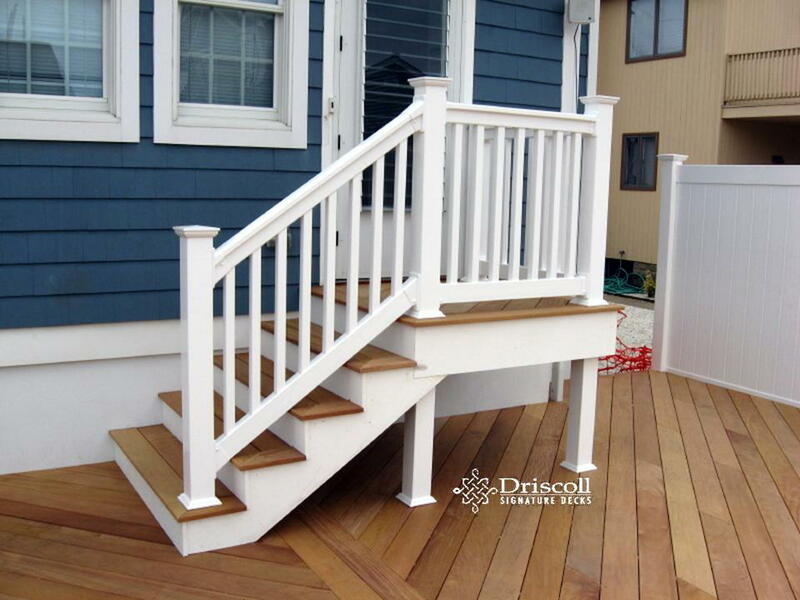 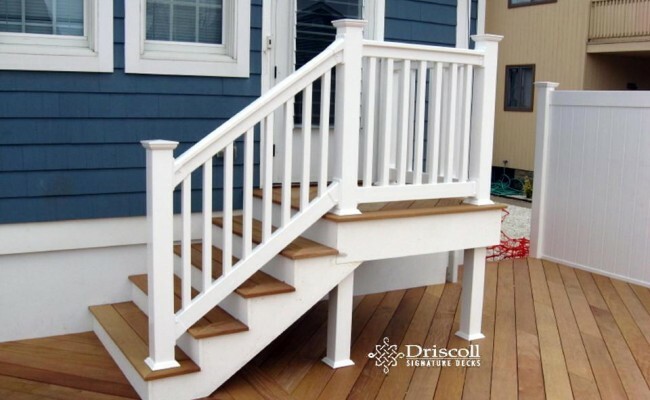 You will find quality deck designs, consultation and excellent craftsmanship when you search for Driscoll Signature Decks at Deck, Decks, Deck Builder, Deck Contractor, Decks NJ, Deck Builder NJ, Deck Contractor NJ, Stone Harbor Decks, Decks Stone Harbor NJ, Deck Stone Harbor, Deck Stone Harbor NJ, Stone Harbor Decks, Stone Harbor NJ Decks, Stone Harbor Deck, Stone Harbor NJ Deck, Deck Contractor Stone Harbor, Deck Contractor Stone Harbor NJ, Stone Harbor Deck Contractor, Deck Builder Stone Harbor, Deck Builder Stone Harbor NJ, Stone Harbor Deck Builder, Stone Harbor NJ Deck Builder, Stone Harbor NJ Deck Contractor. 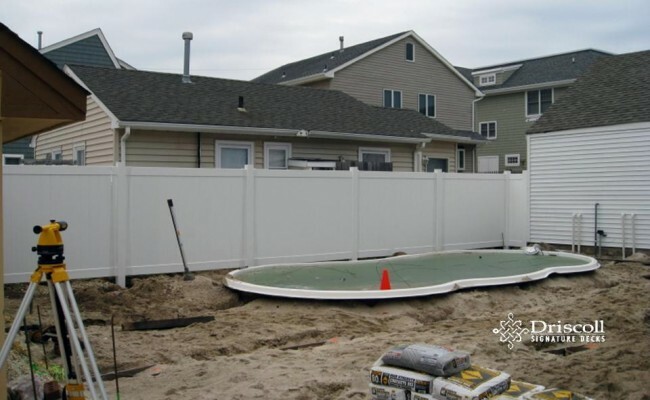 But, before we got started, we first we had to remove that old worn-out wooden fence. 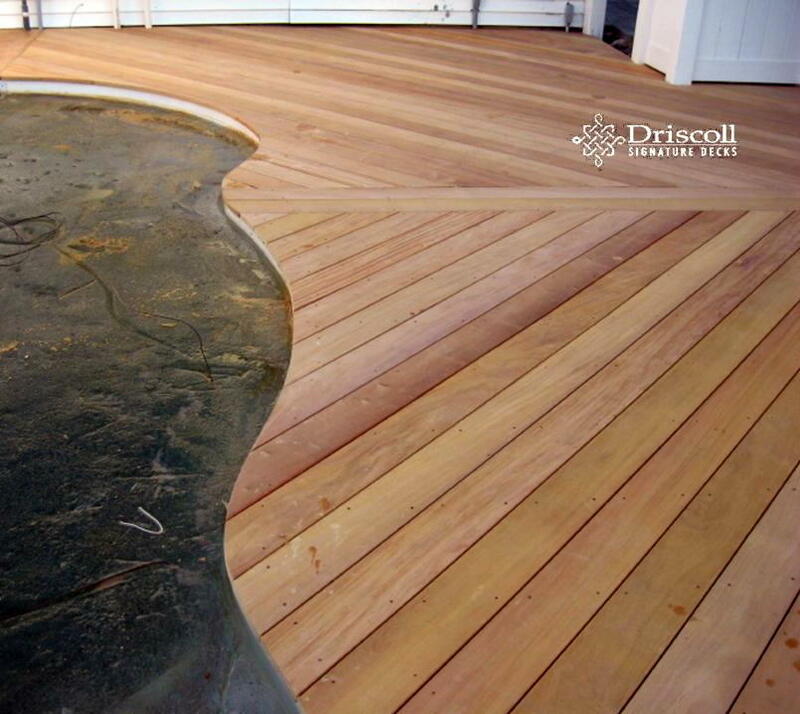 Garapa is an excellent looking decking board, but it must be sealed and maintained properly to keep that rich clean heart-wood look. 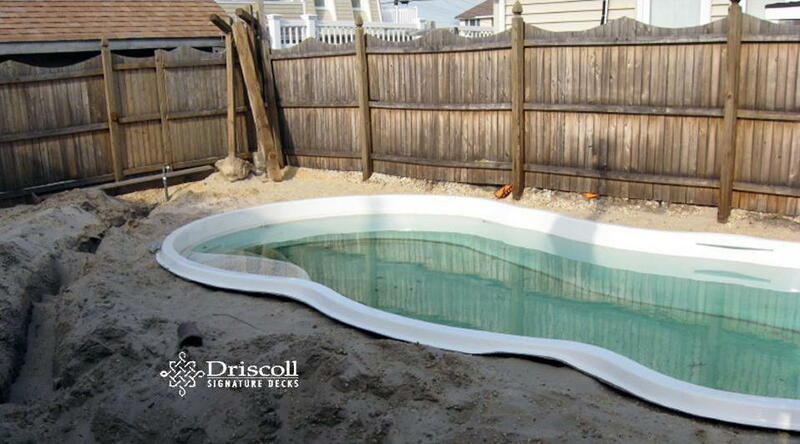 And, yes, there is still ice in the pool. 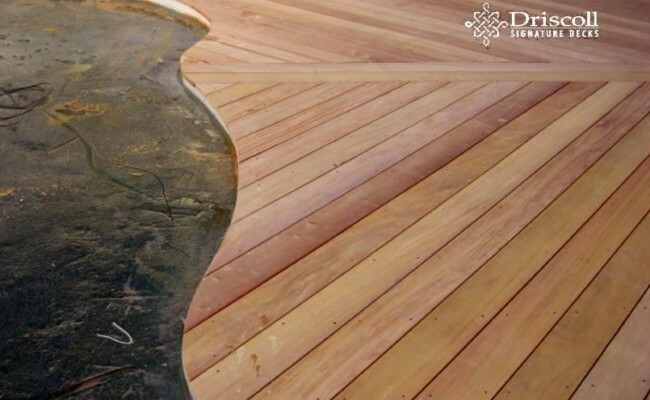 We cut a nice curvy-contour for our decking board patterns around the pool, and also note how the platform stairs use the same Garapa decking boards on the treads with white trimboard on the risers, stringers and with vinyl railings to match.